Summer loves are unforgettable. And the gifts meant to honor them should be too! 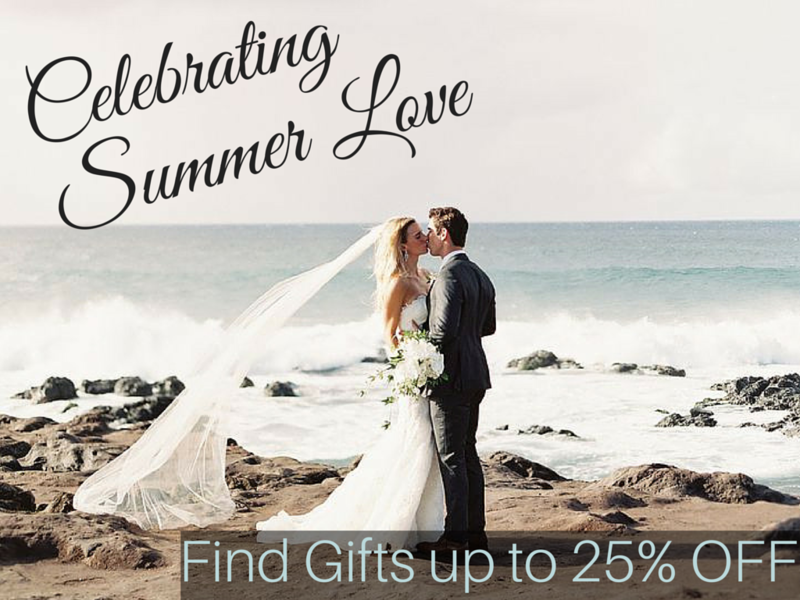 Give something that speaks from the heart and will last for years to come, much like the love you are celebrating – whether it be a new love at a summer wedding, or a timeless love at a 50th Anniversary dinner. 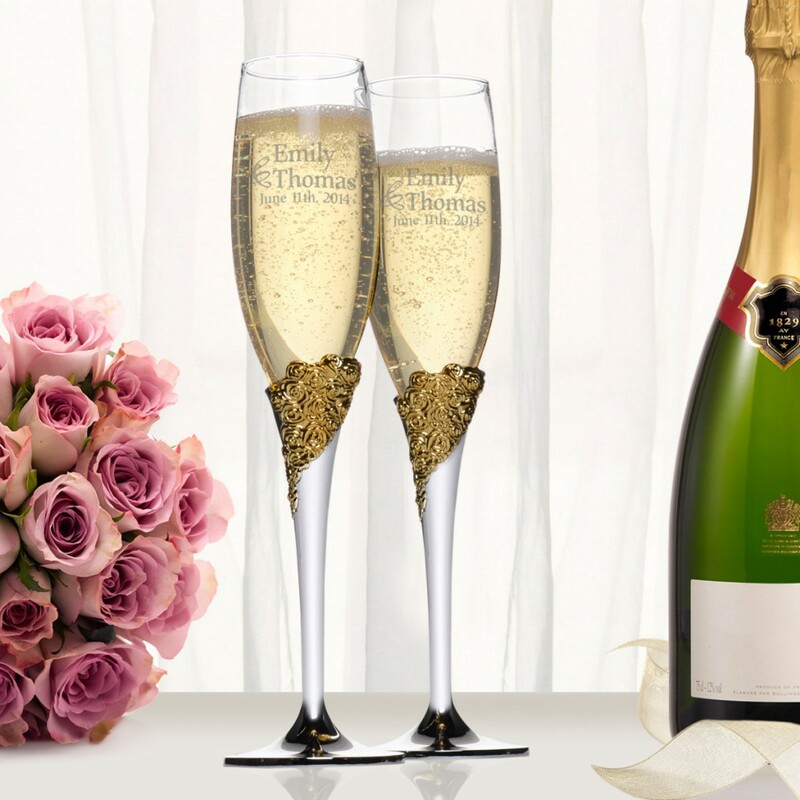 Both classy and fabulous, these personalized Marchesa Rose Lenox Crystal Gold Plated Champagne Toasting Flutes are the perfect gift to mark the occasion! We can picture the bride and groom toasting to their love with this glassware set for many future anniversaries. Your Bridesmaids have been by your side throughout this entire journey and we have just the gift to show your appreciation for their unwavering loyalty. 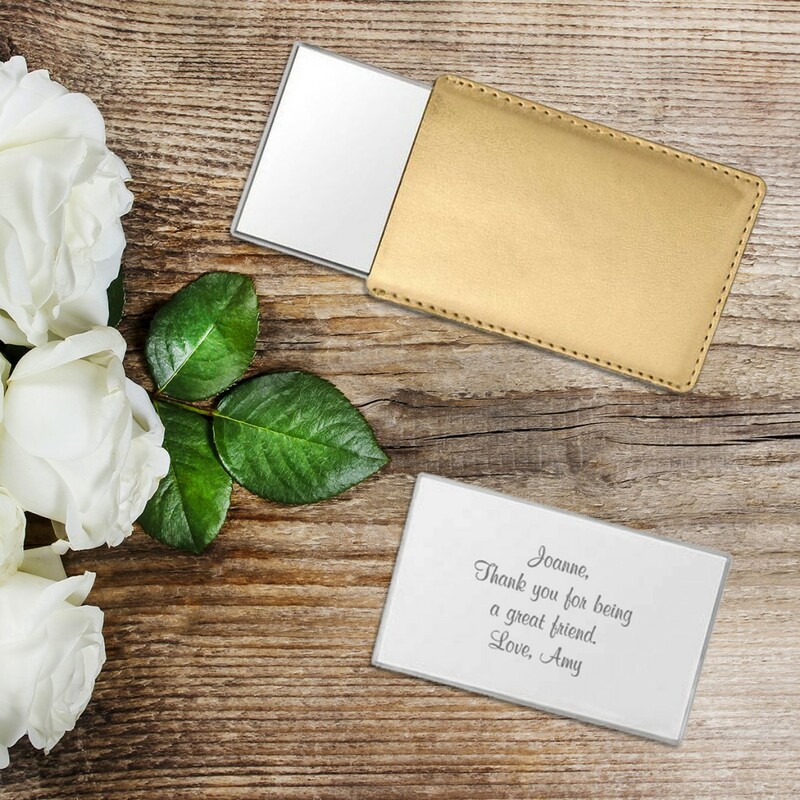 This Personalized Compact Mirror in a Gold Leatherette Pouch not only shows it, but says it all. And who could forget the Groomsmen? 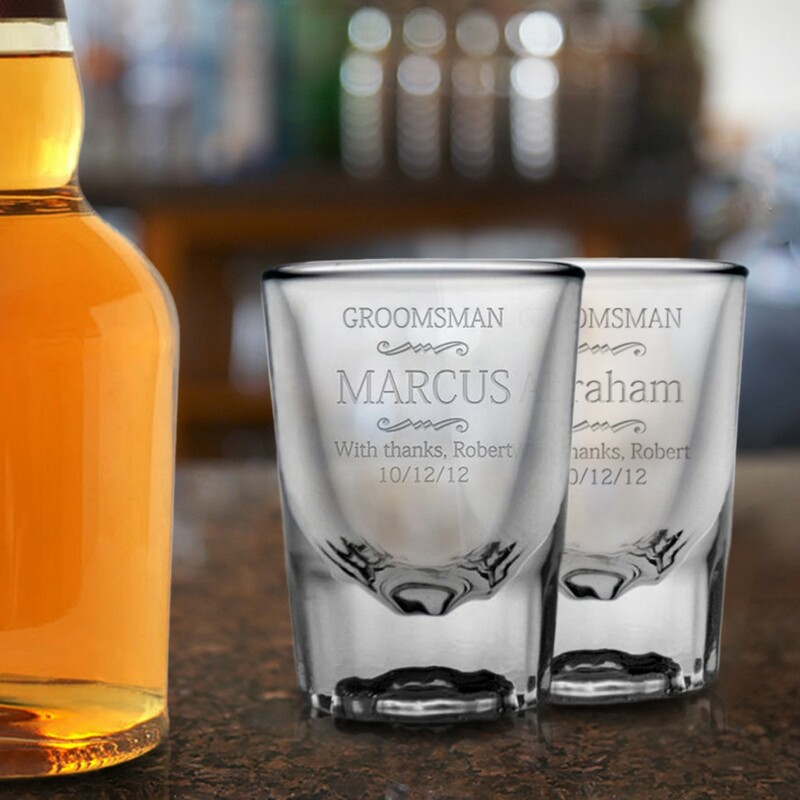 These Personalized Groomsmen Shot Glasses will bring back memories of good times past and still yet to come, while also letting them know how much you appreciate them being there for the big day. 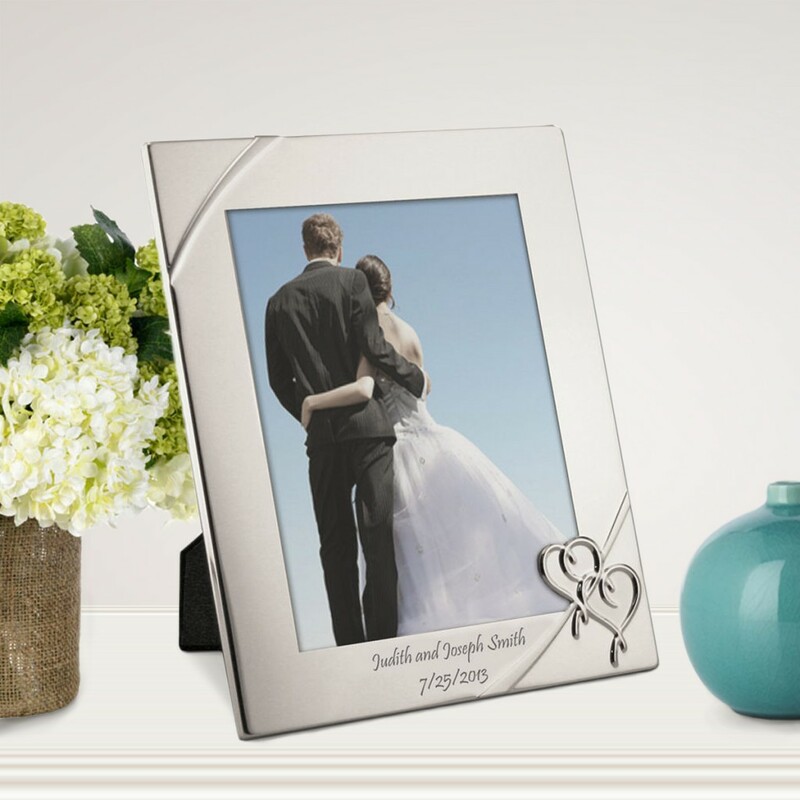 Celebrate a full decade of love with this gorgeous True Love Personalized 8×10 Photo Frame. Personalize it with the anniversary date to mark the special occasion! Nothing ages better than love – but red wine does come close! 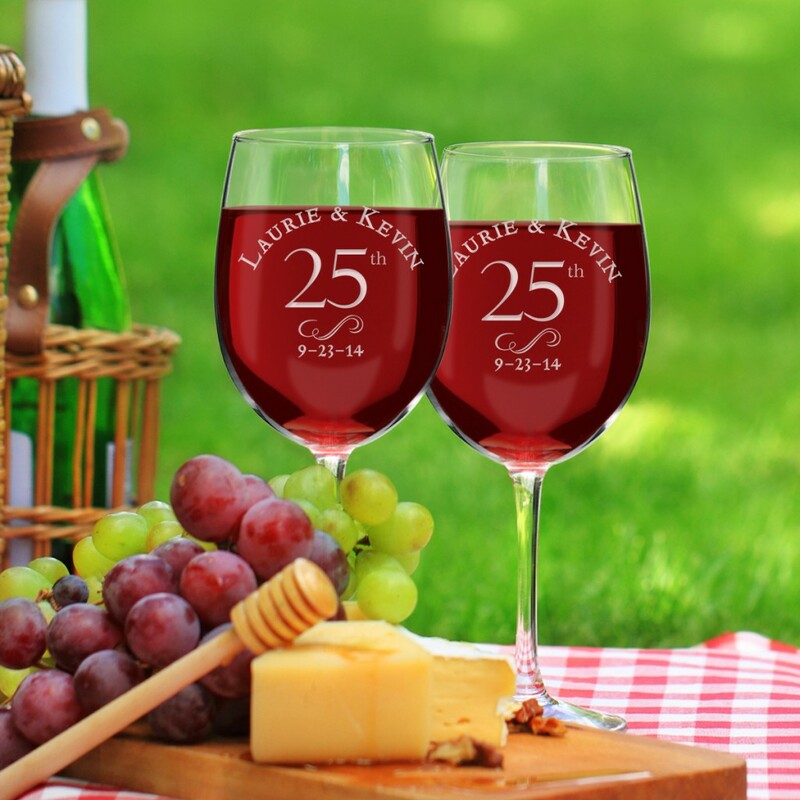 You can’t go wrong with this 25th Anniversary Personalized Wine Glass Set – perfect for a celebratory dinner with friends or a romantic picnic for two. Nothing says Happy 50th Anniversary than a gift worth its weight in gold. 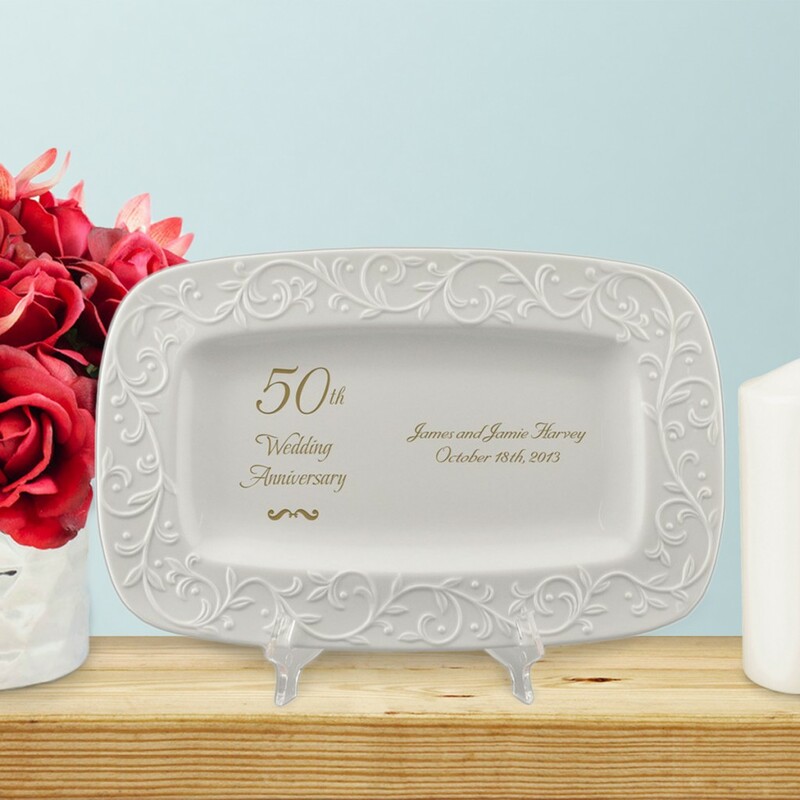 This unforgettable 50th Golden Wedding Anniversary Lenox Carved Tray will soon become the centerpiece of any home decor display. It makes a beautiful and timeless gift to match the love you are commemorating.